For decades, nutritionists have recommended food journaling as a way to keep tabs on your diet, but new science says that is so last century. According to Science Daily, a study from the University of Washington demonstrates that posting food photos on Instagram is the effective new way millennials are tracking their food intake and meeting health goals. The study's researchers extensively interviewed 16 consistent "foodgrammers," users who frequently share their meals on Instagram with hashtags like #fooddiary and #foodjournal, about how social media can help or hinder one's fitness goals. What they found was that logging one's food on Instagram was similarly effective—and way more interesting—than keeping a traditional food log. 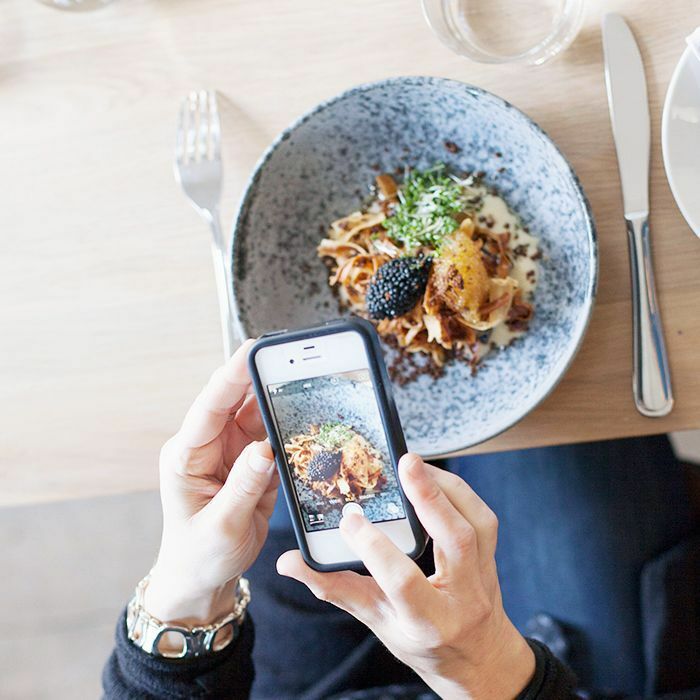 Keep scrolling to learn how foodgramming can make you a healthier eater. For more proof that social media can have a real impact on your diet, read about how YouTube convinced me to go vegan.